Ireland's priests are overworked and being turned into "sacrament-dispensing machines" who are increasingly prone to depression, with suicide on the rise, according to a co-founder of Ireland's Association of Catholic Priests. NCR Online reports. 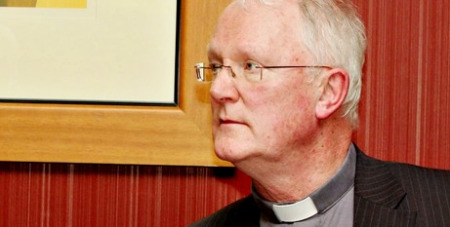 In his address to the association's annual general meeting last month, Fr Brendan Hoban said the workload meant that Irish priests now find pastoral work less and less satisfying. The association claims at least five priests have committed suicide in recent years, according to a report in The Tablet. With the vast majority of Irish priests now aged 70 or over, elderly diocesan priests are living increasingly isolated and lonely lives and are constantly "reminded that we no longer really matter, that at best we're now little more than a ceremonial presence on the sidelines of life," he said. Fr Hoban, 68, said that though "we feel we've done our best to carry the good news," an "avalanche of criticism in the media" meant they were "ritually presented as bad news people, controlling, oppressing, limiting, obsessing." More than 150 of the 1000 priest members that the association represents heard Fr Hoban explain how the "implosion of our Church" in the wake of the abuse scandals had made them realise that they were, in author Fr Donald Cozzens' words, "the last priests in Ireland." Stark statistics were cited, such as the plight of "two very prestigious dioceses in Ireland, Dublin and Killala," both of which have just one diocesan priest under 40 years of age. In 20 years' time, both dioceses will have one or maybe a few priests under age 60 to cover 199 parishes in Dublin and 22 rural parishes spread over a distance in Killala. "As the last priests in Ireland, we have a right to consideration, acknowledgement, support, encouragement and, above all, respect," Fr Hoban continued. "Priests who have served the Church for so long deserve no less and it's time to start a reasonable conversation about this."